KOKOMO formed in 1973 and featured members of the recently defunct Grease Band (Alan Spenner, Neil Hubbard) and Arrival (Dyan Birch, Paddy McHugh, Frank Collins and Tony O'Malley), who had a Top 10 hits in with 'Friends' and 'I Will Survive'. For a while, the band trod the burgeoning pub circuit, plying their brand of soulful R 'n' B longside contemporaries such as Ducks Deluxe and Brinsley Schwarz. The music press commented on their wealth of musical experience, and the novelty of their three vocalist frontage. In 1975 the band began to make some progress in the States, and were invited to do a session fro Bob Dylan's 'Desire' record although this was not used on the final version. Kokomo also toured with kindred spirits Average White Band. Their second album, 'Rise And Shine' was recorded in the States. The onset of punk placed more pressures on the band and their music and they announced a farewell UK tour in late-1976. The band reformed in 1982 and released a third album, (entitled 'Kokomo') which yielded a Top 50 chart placing. 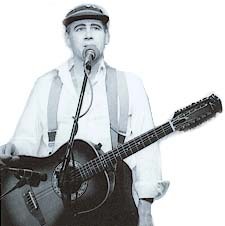 NEIL INNES first came to attention as one of the principal songwriters in the Bonzo Dog Doo-Dah Band and he was responsible for the group's only hit: "I'm The Urban Spaceman,"
After the Bonzo Dog Doo-Dah Band disbanded in 1970 Innes pursued a solo career and fronted Grimms, combining poetry, satire and rock. The artist's friendship with Eric Idle, formerly of comedy team Monty Python's Flying Circus, resulted in a short-lived though acclaimed BBC television series, Rutland Weekend Television. One of this show's sketches inspired The Rutles, a full-length feature which parodied the rise of the Beatles. Innes played Ron Nasty (Lennon), Idle played Dirk McQuickly (McCartney), while Rikki Fataar (ex- Beach Boys) and John Halsey (ex- Patto) completed the line-up as Stig O'Hara (Harrison) and Barry Wom (Starr) respectively. Innes' songs re-created the different and contrasting styles of The Beatles offered, ranging from the Mersey pop of "I Must Be In Love" and "Ouch!" to the psychedelia of "Piggy In The Middle." Innes maintained his solo career with Taking Off (1977)and The Innes Book of Records (1979) and he later contributed music to television commercials and children's television programmes, including Rose And Jim. PIP PYLE is widely acknowledged as the drummer of the Canterbury school of progressive rock. He worked with Hatfield and the North, National Health, Gong and In Cahoots. Pyle had played in a band called Delivery as early as 1966 with guitarist Phil Miller. During 1972, Pip Pyle, back from his stint with Gong in France, began to work with Miller and Richard Sinclair. This eventually led to the formation of a new line-up of Delivery which morphed into Hatfield and the North. This band recorded two albums for Virgin. Hatfield broke up soon after recording their second album but its members kept working together. By 1977, Phil Miller, Dave Stewart and Pip Pyle were all members of National Health; in 1980, Stewart and Pyle were reunited in the short-lived Rapid Eye Movement; in 1982-85, Miller, Sinclair and Pyle were all members of In Cahoots. During the late eighties he gigged consistently in Continental Europe, mainly French jazz clubs, either with Equip'Out or with In Cahoots. In 1992 Pyle rejoined Gong and remained with them until 1996, whilst at the same time working with In Cahoots and Short Wave, his occasional band including Elton Dean and Hugh Hopper. All former members of Hatfield and the North were reunited on Pip Pyle's solo album "7 Year Itch" (1998). Pyle formed Bash! in 2002, a modern electric jazz fusion band featuring Patrice Meyer (guitar), Alex Maguire (keyboards) and Fred Baker (bass). DEKE LEONARD was a veteran of a small, but thriving, Welsh beat group scene based around Swansea. In 1969 The Bystanders morphed into Man on his arrival. Leonard was influenced by Mickey Green of the Pirates and Bo Diddley, and his guitar and compositional skill was crucial in Man's evolution and development as free-flowing improvisers. He left the group in 1972, following the release of the Padgett Rooms album and recorded his impressive solo debut Iceberg. A band of that name formed but the second album 'Kamikaze' was disappointing. Subsequently Leonard joined his Man colleagues and remained with them until their break-up in 1976. During the late '80s, Leonard, Mickey Jones, Martin Ace and drummer John "Pugwash" Weathers (ex-Gentle Giant), revived the Man name, regularly appearing on the UK pub/club circuit and on the Continent. 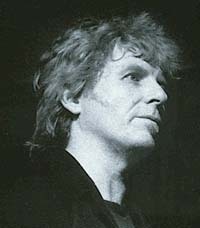 Deke Leonard released a third solo album in 1981 and has continued a career in both music and writing - his memoirs were published in 2000 and 2001.